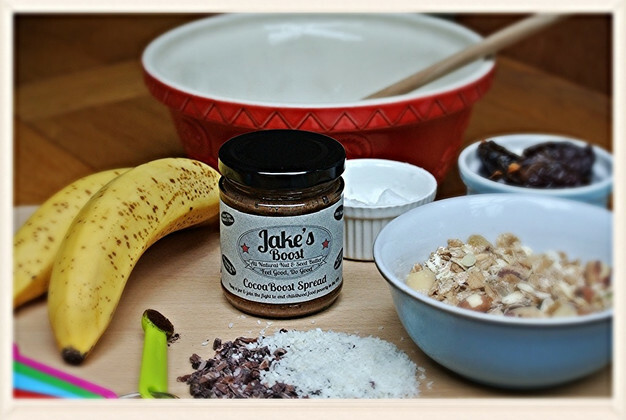 I have been trying to come up with a recipe for our second mix- Jake's Boost Cocoa Boost- for a while but as they say, sometimes life just gets in the way. Today I found myself in the kitchen with a few too many ripe bananas and I felt the baking fever coming on. But here's the thing: this one is an (almost) bake-free recipe. No Bake=No Fake! 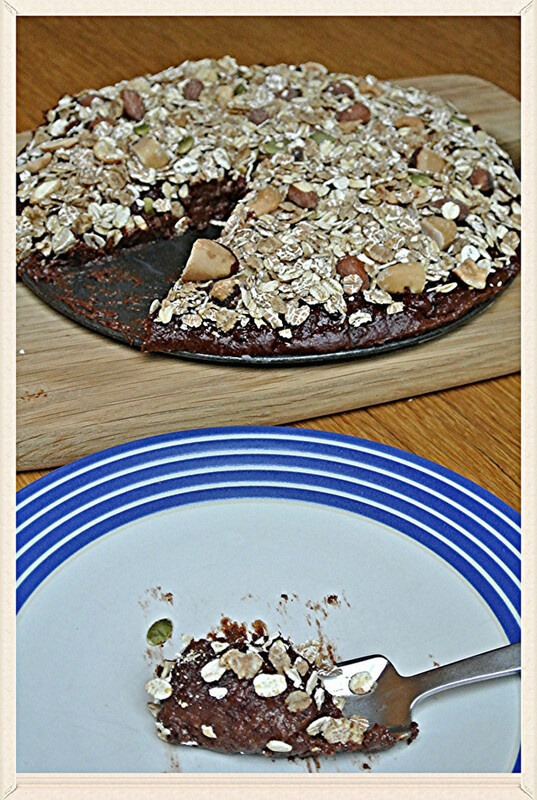 Full of good nutritious ingredients but no flour, no egg, no dairy and no refined sugar. Before we start I have to endorse one of our latest superfood ingredients: cocoa nibs. If you are into healthy food and clean eating I am sure you have come across them but I think it is always worth reminding ourselves of how incredibly tasty but also good for our bodies these little nuggets of yumminess are. The value of cocoa was already known over 4000 years ago when the Aztecs used cocoa beans as currency: one bean would buy you one tomato, 3 beans a freshly picked avocado and 200 beans a turkey. And why was it so valuable? Because it is just blooming delicious! Cocoa beans crushed turn into are called cocoa nibs and when you grind cocoa nibs down enough, they'll turn into cocoa powder. We like cocoa nibs because they are bitter and have an intense, deep chocolatey flavour but also add a bit of crunch- nothing like the bar you pick up at your local corner shop. Cocoa nibs are full of antioxidants that fight off free radicals in the body, fibre that helps control your blood sugar levels, magnesium for muscle and nerve function but also potassium, key element in healthy function of heart and kidneys. Put the first lot of ingredients into a food processor and whack it on, let it whizz until everything's well combined- if you want a slightly fluffier texture, add a bit more coconut oil. 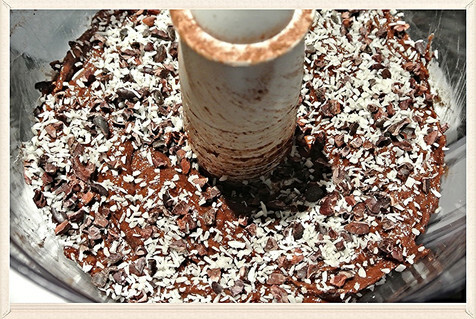 Turn the food processor to the lowest setting and just let the cocoa nibs and coconut disappear into the mix. No get a 6-8 inch spring form (mine was broken so had to use a larger one which unfortunately made my cake look rather flat :( but I am sure you are getting the idea. Now, pop this bundle of gooey chocolatey delightfulness into the fridge for at least 3-4 hours. 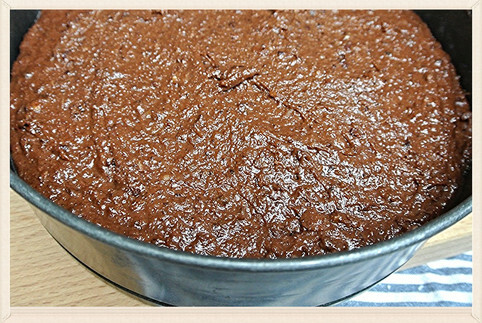 While the cake bottom chills nicely in the fridge spread your muesli evenly on a baking tray and leave in the oven for a good 30 minutes on 140 degrees (fan-assisted). 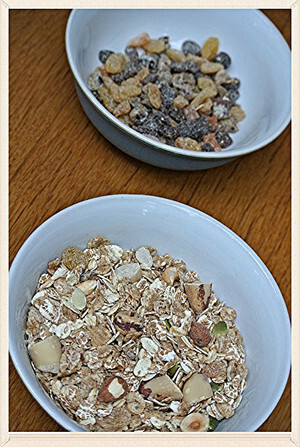 Take the tray out when the nuts are golden brown and the oats look toasted. Put aside to cool.